Defending champion Duke is out, falling to No. 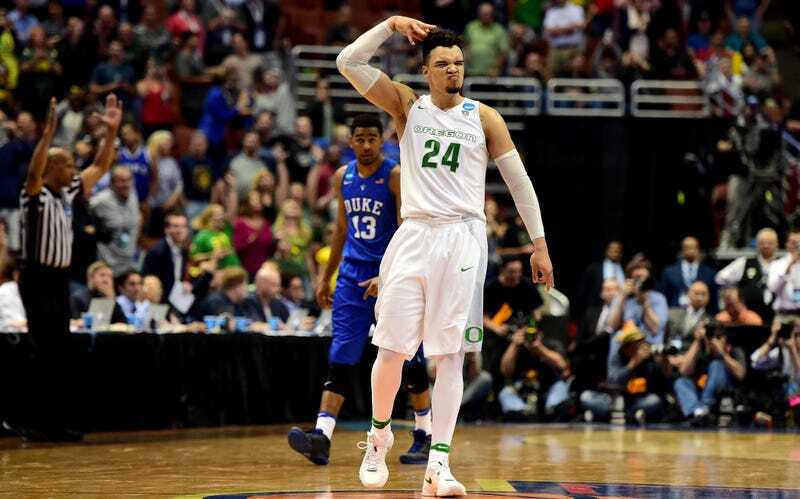 1 seed Oregon 82-68 in a game that was decided so early, nothing on the court is going to garner the attention of whatever happened between Mike Krzyzewski and Dillon Brooks in the handshake line. Or didn’t happen, depending on who you ask. Perhaps that set the scene for Brooks’s long three-pointer as time wound down, though to be fair, the discrepancy between the shot clock and game clock meant he had to get a shot off or turn the ball over. Krzyzewski was asked what he had said to Brooks in the handshake line, and Krzyzewski quickly got testy about it. Then he was pressed again on whether he confronted Brooks for showing off. So, a he-said-he-said story, with one of the parties being particularly cranky about having to describe it, and the other one willing to describe it again. After Krzyzewski gave his version of events, a reporter hustled back to the Ducks’ locker room to ask Brooks one more time what Coach K had said to him.